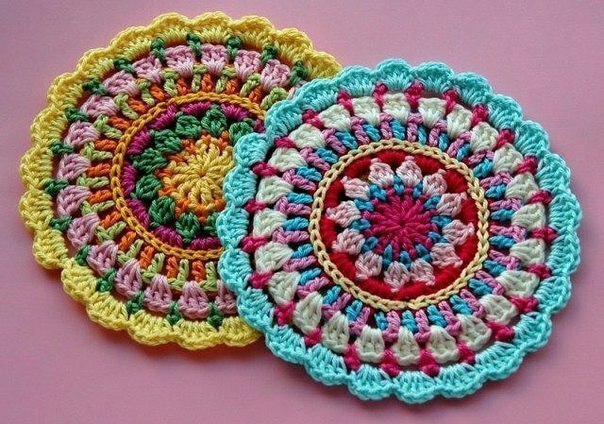 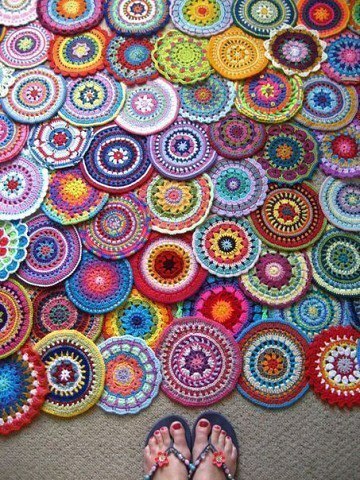 Hello crocheters, today I will share with you the pattern of this crochet mandala. 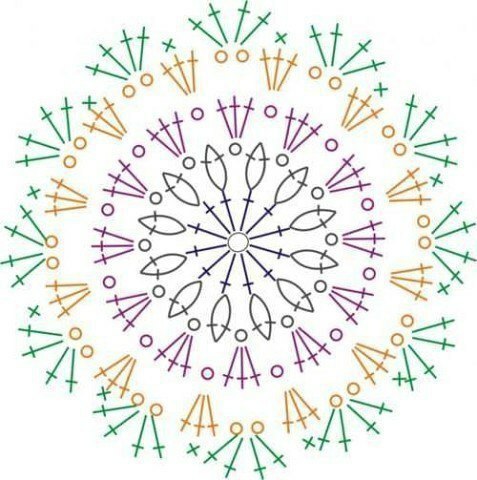 The mandala has spiritual significance for some people, but not necessarily have to be a spiritual thing. 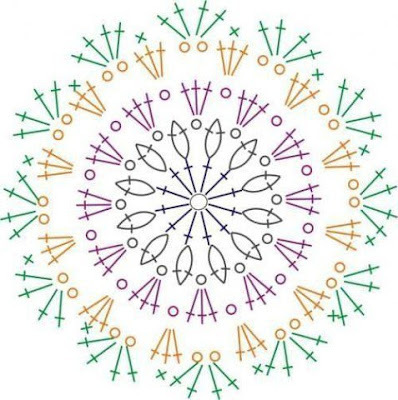 For some people it's just a geometric design. as picture frame, pendant, pictures, used to apply on pillows and even as a door pans. Just use the creativity that comes many pieces. 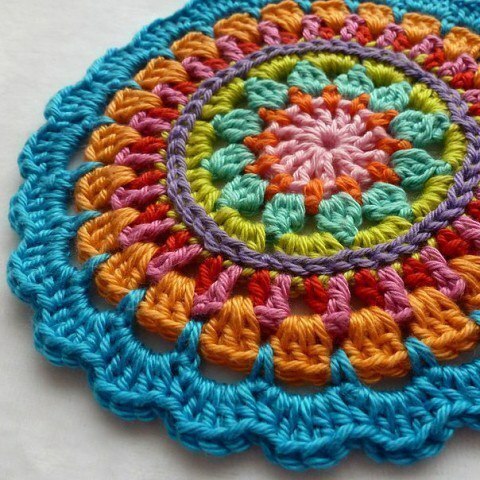 Check out the graph of this crochet mandala.